We are writing to you about the ongoing character assassination plot being perpetrated against SCOTUS nominee Judge Brett Kavanaugh. Not only was CBF’s job at Stanford University directly related to CIA work, her other corporate contracts were also underwritten by The Company, as the C.I.A. is aptly known. With each passing day, more definitive proof is coming out which points to her present role in the “Brett Kavanaugh Character Assassination Plot” as being conducted under the auspices of the Central Intelligence Agency. Unlike the violent assassination of President John F. Kennedy in November of 1963, this character assassination of a SCOTUS nominee will be much more difficult to get away with. The World Wide Web can be just that — a spider web that traps — for any individual or institution that commits high crimes under cover of governmental authority. Likewise, the American people have made it extremely challenging for any organ of the U.S. Federal Government to perpetrate criminal activity under color of law due to their cyber resourcefulness. We now live in a time when any citizen can become an investigative journalist, crime researcher or private investigator. With the tools now available on the Internet, hard evidence and forensic proof can be uploaded quite quickly and copied for posterity’s sake. It’s true that this process of inquiry with respect to Blasey Ford’s real part has only just begun, especially regarding the “highly coordinated, complex and convoluted conspiracy to destroy the reputation of a SCOTUS nominee”. However, begun it has, and the truth seekers among US will not finish this task until the true perpetrators have been brought to justice. It’s now common knowledge that there exists rogue elements within the C.I.A. who have conducted similar black operations since the agency’s inception, both domestically and within foreign nations. It’s also quite evident from the verified historical record that the C.I.A. is extremely proficient in conducting psychological operations (also known as “psyops”) similar to the present one. It is our firm understanding that the C.I.A. is barred from implementing these types of seditious operations anywhere within the United States of America. Federal law prohibits the CIA from collecting information on “U.S. Persons,” which includes U.S. citizens, resident aliens, legal immigrants, and U.S. corporations. 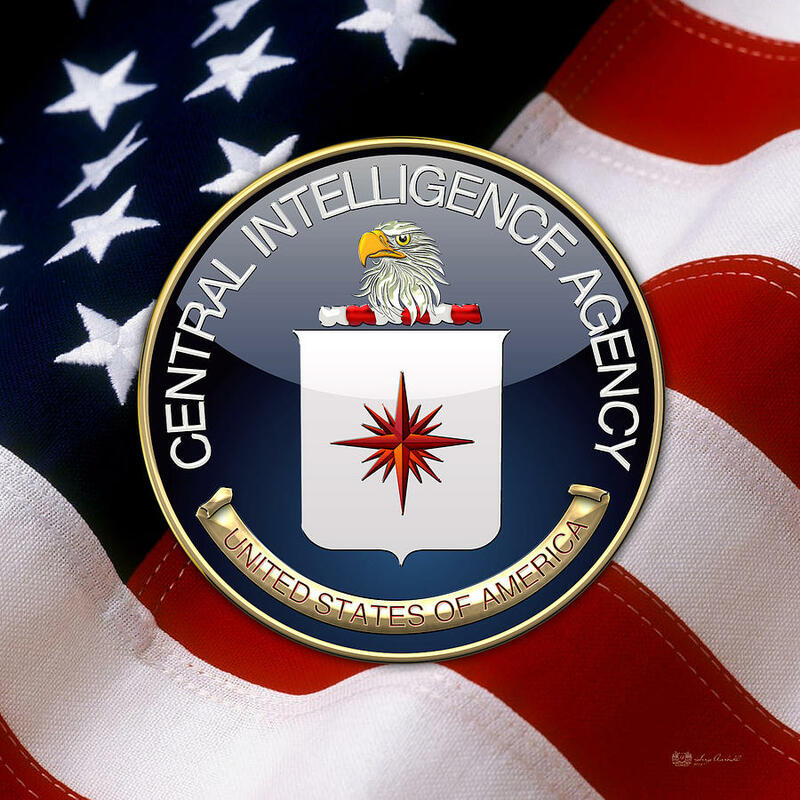 The CIA collects intelligence information only on foreign countries and their citizens. And, unlike the FBI, the CIA does not have arrest powers. If we are in error about this highly consequential matter, please be so kind as to enlighten us. Given the trajectory that the nation is now on, we feel strongly that each institutional member of the U.S. Intelligence Community must operate only within the appropriate jurisdictions and only with those statutory powers granted by the U.S. Congress. We appreciate your timely and full compliance with this citizens’ request. We sincerely hope that we will not be compelled to make a similar demand in the future, particularly where it concerns the fate of nominee Kavanaugh. Lastly, we are confident that there are those employees in the C.I.A. who will stand for the law — the rule of law — especially here in the USA. To a vast majority of us, it appears that the same seeds of chaos sown abroad by the C.I.A. have now been planted throughout these 50 states. The unparalleled lawlessness associated with the Kavanaugh nomination process cannot be allowed to continue. The social fabric of American society has been irreparably torn. Hence, we appeal to the C.I.A. to terminate any and all endeavors that seek the destruction of the Republic. 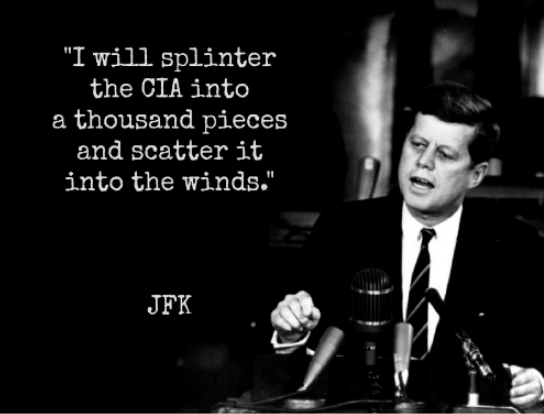 Otherwise, JFK’s intention will surely be fulfilled.